Franchising is no doubt an ever-growing sector of the economy all over the world in these recent years. In the UK alone, there are over 900 franchise brands, contributing about £15b to the UK economy and currently generating over 620,000 employments. Research shows that more than 50% of new businesses collapse within the first 2 years of starting operation unlike franchise which has over 80% success rate. So, what are the reasons behind franchise successes, virtually in all sectors of the economy compared to starting your own business from the scratch? Here are the top 9 Benefits of starting a franchise business than starting from the scratch. What could be better than buying into a business with a brand that customers already recognize, love and remain loyal to? While it may take many years for new business to build brand equity, with a franchise, especially for national or global brands, customers will know about your products which is an assurance of sales making from the start. This is because you’re starting a business that features an established brand name, that is ready and waiting for you to start, with no promotion or efforts on establishing the name to potential customers. So, the power of brand awareness and recognition cannot be underestimated in a franchise business. Before any good franchise company will think of franchising, such company must have developed a method of doing business that works well and produces successful results. With no doubt, buying a franchise means buying into this proven and successful business model that can be transferred or replicated by others easily with little or no risk of failure. Based on the fact that, franchise provides an established and proven business model, making it up to five times more likely to create a successful business than those starting from the scratch. This eliminates much of the trials and errors associated with starting a business from the scratch. Which is why franchisor is expected to provide you with a great deal of information in their required disclosures so you can investigate and verify the results with existing franchises prior to buying the franchise. Depending on the brand, the initial purchase fee will usually cover things like trademark, goodwill, licence fee, the cost of training and a share of the franchise marketing fees. Getting an approved loan from a bank becomes increasingly more difficult with financial institutions tightening their lending criteria every now and then. Bankers being risk adverse will work on the basis of understanding the business through the relationship of a franchisor; this simply cannot be replicated by a start-up. All the main high-street banks have dedicated units to handle franchise related investments and can lend up to 70% of the franchise purchase price because they understand franchising can be less risky than starting up alone. Starting a new business from the scratch can take many years and money to grow, build up a strong corporate reputation and brand awareness. The franchise company has marketing assistance to provide you with proven tools and strategies for attracting and retaining customers. Usually, the staff helps you develop the actual marketing plans and budgets for your grand opening as well as your ongoing efforts to market your business effectively. So, franchise, although depending on the brand, cover a large degree of the marketing and promotional spending which the entire chain benefits from. Taking global franchises such as Burger King and McDonald’s as an example, they advertise continuously on a national scale, which is a tremendous advantage to their franchisees. For many franchisees, the presence of a marketing team that provides valuable assistance is a massive bonus to the business, relieving them of the time and effort of achieving similar standards on their own. Franchising offers you the benefit of protected territories from the franchisor. You will often enjoy exclusivity in a specific geographic area such as a county or country. This ensures that you won’t be competing with other franchisees by your franchisor. This is also an advantage if you goal is to open several franchise units over time within your region. In exceptional circumstances will probably be an online based franchise business with a complete online automation model which is not feasible to assign an exclusive territory. Apart from the online based businesses, franchisees enjoy these benefits which contribute to franchising success. Benefits of cost reduction through purchasing power. A good franchise can take advantage of the buying power of the entire system to negotiate prices for everything you need at significantly lower levels than you could achieve as an independent business owner. This applies not only to initial stationary and equipment purchases, but also to the supplies, which include but not limited to, inventory, raw materials and everything else you’ll need on an ongoing basis. With the purchasing power advantage to reduce operation costs, which invariably will lead to profit maximisation with is the lifeblood of business success. Just like every other method of starting a business, you are responsible to do your due diligence, determine with a fair amount of certainty what happen if you become a new franchisee. Having said that, if you’re smart enough, and all things being equal, franchise will help you avoid much of the risk associated with starting a new business. 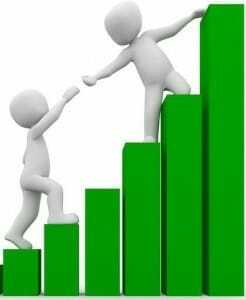 So, leverage the proven business model, brand recognition and awareness, marketing and promotional supports, training and on-going supports, easy access to finance, protected territory and purchasing power to reduce operational costs, will no doubt contributing significantly to high success rate. A successful franchisor will pay proper attention to technology, whether it be for operating tools, communication methods or social media. Innovation is an important aspect of a business and something a good franchisor will undertake with the aim to boost the franchisee business and gain competitive edge for the entire brand family. Make no mistake here, competitive advantage is a subject of so many factors. However, if operating under the umbrella of a proven business model, brand recognition, marketing and promotional supports, training and on-going supports, protected territory and purchasing power to reduce operational costs, all put together do not contribute to getting competitive advantage in your target market, then what else will? So, when buying into a franchise you want to establish that the business is forward thinking, current and savvy in their operations, allowing a greater chance of business growth in the future. Anybody that tells you that starting a new business will be a walk in the park probably have not told you the reality of this planet. Statistic shows that not less than 50% of new businesses pack off before their first 2 years. By implication, this proves that the challenges and risks associated with starting your own business are very high. So, this is why franchising is better off because a good franchise company will take you through initial training programs and thereafter provides an on-going support from a team of experts and business managers dedicated to help overcome these initial challenges and be successful. This can be especially beneficial if you’re a first-time business owner or new to the particular type of business. You’re not alone when you’re building and running your business, and you can always call on experienced people when facing with tougher time, want to share new ideas or making critical decision that can make or mar the growth of the business. Remember, there is no such thing as… ”One best approach”, the fact remains that where some have failed woefully, other have triumphed extraordinarily. All things being equal, using a franchise to meet your goal of starting a new business is a wonderful approach for most people, for all these reasons and many more, I hope you will be able to leverage the huge advantages of franchise to being your own boss.